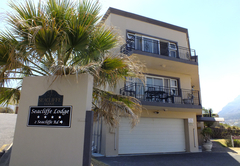 Seacliffe Lodge is a 4 star graded guest house with self catering option, offering Hout Bay accommodation for tourists and visitors of Cape Town. 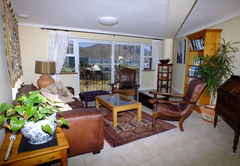 Seacliffe Lodge is one of Hout Bay’s few establishments located close to the sea, beach and harbour. Only 15 km’s from Cape Town along the Atlantic Seaboard and surrounded by beautiful mountains, Hout Bay is famous for its location and the Chapmans Peak mountain drive. 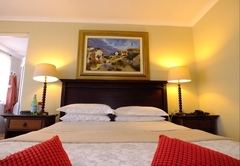 The guest house comprises of 5 en-suite bedrooms which are individually styled for relaxation and comfort while Seacliffe Lodge retains the graceful ambience of modern living - and staff who pride themselves for their friendly, personal and professional service – make each visit an enjoyable and memorable one throughout. 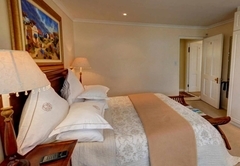 The 4 star luxury accommodation offers stylish and comfortable rooms with crisp cotton linen. Five of the rooms are en-suite with a bath and shower (one room en-suite with a shower only) as well as a safe, hairdryer and television. 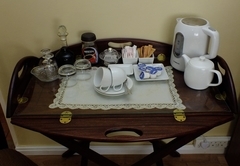 Tea and coffee making facilities are provided in the rooms as well as all the amenities in the bathroom. 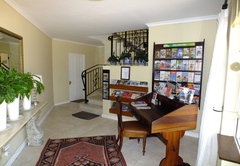 A family room is available and there is WiFi access. 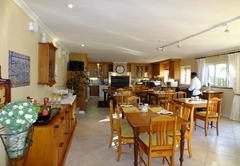 Two Self Catering rooms are also available for those who want to do their own thing (these rooms are not graded). Wake up to the smell of a sumptuous breakfast being prepared as you get ready for the days adventure. Cereal, fruit salad, juice, tea or coffee, is served as an appertiser. Then eggs (varied choices of desire), bacon, mushrooms, sausages and tomato await if the taste buds are in full flow. Restaurants are in close proximity with the famous Mariners Wharf Side Grill and Lookout Restaurants being within walking distance. After day of exploring and sightseeing, grab your favourite drink and sit back and sip sundowners or bask in the sun by the salt water pool while enjoying the views of the mountains and bustling harbour. Beauty salon on site as well as an honesty bar. Hout Bay is a bustling fishing village with the harbour and wharf being in close proximity to us. There are a number of unique shops that should be explored as well as the fish restaurants and the fish and chip takeaways. There are also round the clock trips to seal island on the boats or if you fancy deep sea fishing, charters can be arranged. 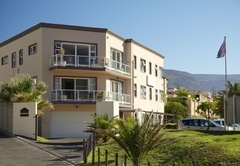 The famous Chapmans Peak drive and mountains are directly in front of us and a short drive away. This is one of the most spectacular coastal roads in the world. In the valley, with its large oak trees, there are numerous stables that offer horseback trips and riding lessons. Another attraction in Hout Bay is the World of Birds presumably being the biggest bird park in South Africa with more than a couple of hundred different species. The Whale season is from August to the beginning of November when the whales venture in to the bay. The bedrooms are furnished with a Queen size bed and have en-suite bathroom facilities and all the amenities. No sea view, but lovely views over the back garden. Views over mountain, sea, harbour and yacht basin. All the amenities. 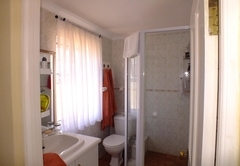 En-suite room with a shower only. 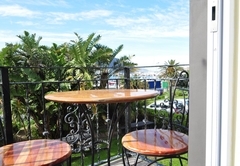 Overlooks the sea, mountains and working harbour. Fully en-suite with all the amenities. Queen size bed. Separate bath and shower. This unit has two bedrooms one with a queen size bed and the other with two 3/4 beds and views across the harbour beach and sea. 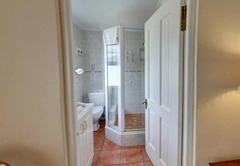 Bath and shower (en-suite) with all the amenities. My Fiancee and I had a fantastic time staying at the Seacliffe for 5 days in early January - Tom is a great host, very knowledgeable and helpful with restaurant recommendations and directions to Newlands, the city centre and all the way down to Cape Point. Musa cooked up some fantastic food for breakfast - quite possibly the best omelettes in Cape Town, they really were sensational. The room itself was very clean, spacious and comfortable - always felt secure and safe not only at the Seacliffe but also the surrounding area. 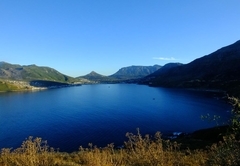 Hout Bay is a superb place to stay when visiting Cape Town - great base to explore from: 5 mins from Llandudno beach, 20 mins from Camps Bay, 25 mins from the Cable Car to Table Mountain, 35 mins to the V&A Waterfront (although when you are driving the fabulous coastal road it certainly doesn't feel that long! ), 15 mins to the Constantia wine route and 15 mins to Kirstenbosch Botanical Gardens. The Seacliffe Lodge is a superb place to stay, and i would highly recommend it to anyone visiting Cape Town. We loved it so much, we booked again for a further night at the end of our holiday before flying back to London. Response timeSeacliffe Lodge typically responds to requests in 5-10 minutes. If your check in time is after 22h00 then you will need to contact us to inform us of this.